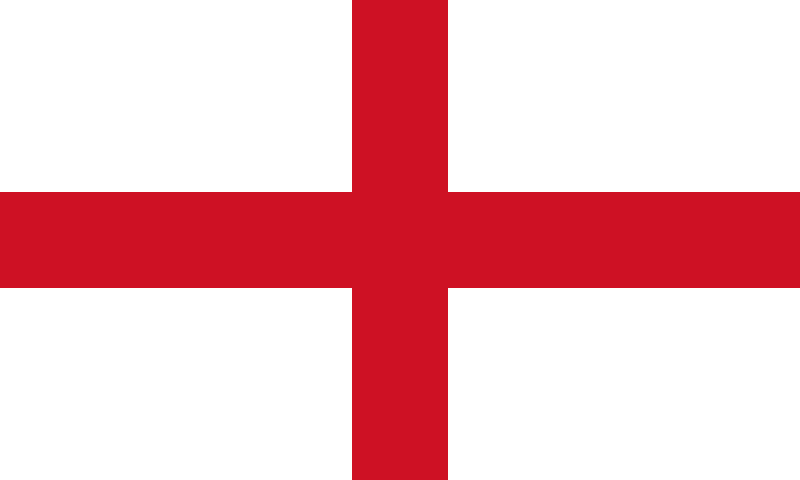 The Flag of England is the St George’s Cross. The legend of Saint George slaying the dragon dates from the 12th century and Saint George became the patron saint of England in the 13th century. The red cross appeared in the crusades and is one of the earliest known emblems representing England. The flag is thought to be derived from that of the Knights Templar. Another theory as to the origins of the flag is that the flag of Genoa was adopted by England and the City of London in 1190 for their ships entering the Mediterranean to benefit from the protection of the powerful Genoese fleet. The maritime Republic of Genoa was rising and going to become, together with its rival Venice, one of the most important powers in the world. The English Monarch paid an annual tribute to the Doge of Genoa for this privilege.